Meekan Interior is an interior designing company based in Karve Nagar in Pune. They work on contractual basis for both commercial as well as residential designing. They have over 50 workmen, some of them skilled in their craft while others who are still amateurs in their work. But everyone is given training so that they learn the techniques easily. They provide the workers with high tech tools and equipments which are required to accomplish the work. Their machineries have an incorporation of advanced technology and state-of the-art amenities which make them the best residential interior designers in Pune. 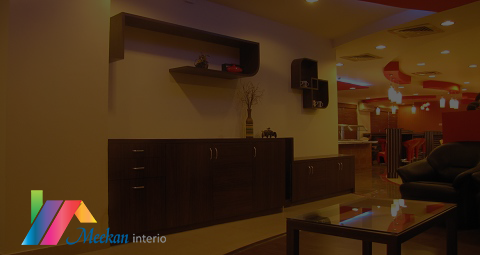 Meekan Interior is one such enterprise that provides everything needed to furnish or decorate someone’s house. From carpentry to gypsum work to plumbing and electrical fitting, they offer all the services one can need. They also supply granite, tiles, marble, and glass for designing. Their services speak volume about their name. The passion with which they service their customers whole-heartedly is something that is very rare today. From planning to execution, everything is top-notch, and the customers are always amazed at the final result. At Meekan, their main objective is to design according to the different purpose or lifestyle needs of their customers. The main areas of service offered by Meekan Interior are commercial interior designing as well as residential interior designing. Every component of commercial or retail space is another to associate with people. So, it is of great importance as to how commercial places are designed. If the interior of a commercial area is attractive, then, automatically people will like to visit the place and the designers will get more offers. The designing in this area should be more grand and charming as compared to residential designing which is supposed to be calm and cosy. With changing lifestyles, flourishing technology and increasing economy, gone are the days when people would just find a comfortable place to live in. In today’s world, people spend huge amounts of money to design their residence with all the luxuries. The interiors of the houses are a symbol of the wealth one posses. They are the most successful residential interior designer in Pune. Meekan also provides modular kitchen services, bathroom fittings and renovations, jewellery shop designing and turnkey solutions. Modular kitchens are built-in kitchens which are pre-ordered and fitted in the kitchen space provided in households. These kitchens are just the perfect solution to today’s modern houses. The company has the perfect range of bathroom sets catering to every customer’s need, be it traditional or modern. Each commodity is unique and personalized for the customer. The designs are innovative and are trend-setters in the market. The range of products they own are also affordable and long lasting. They also design jewellery shops other than residential and commercial places. The interiors designed by Meekan are elegant and appropriate for showcasing lovely jewellery. It allows customers to glance through the jewellery sets also providing optimum security. Turnkey solutions are another feature of the enterprise which helps in reducing risk and decreasing implementation time.